Where: Meet at the far end of the Aberdeen Crematorium West Chapel car park. First Bus number 11 or Stagecoach X17 will take you to Skene Road. Description: Red squirrels are once again living in the woods of Hazlehead! This is partly due to the removal of many of the grey squirrels but also encouraging the regeneration of Scots pines that are the squirrel’s favourite food. Come and help the Rangers get rid of spruce saplings which compete with Scots pine, and increase the chance of seeing red squirrels in this lovely part of the city. Gloves, tools and hot drinks will be provided but please bring water and a packed lunch. 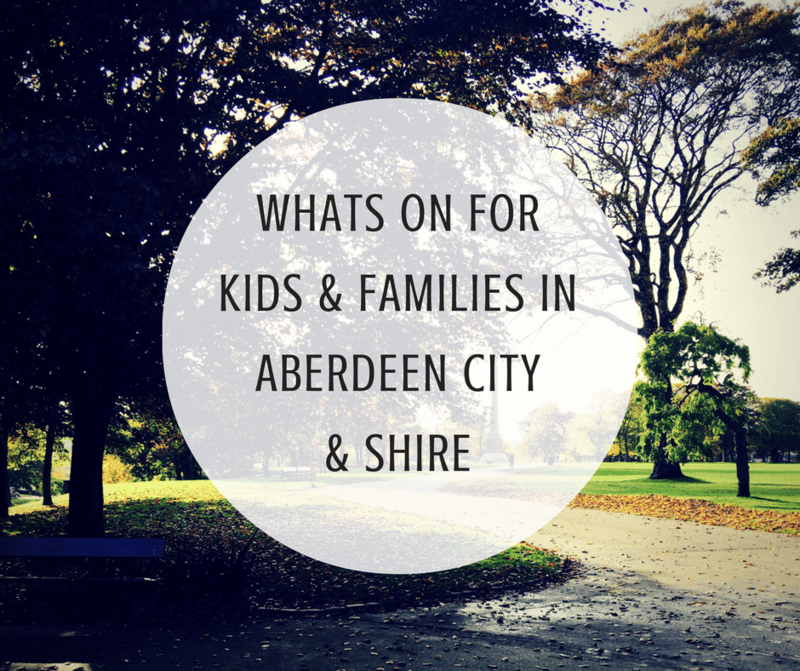 Booking essential – please call 01224 326 429 or email countrysideranger@aberdeencity.gov.uk to book your place on this FREE event. With sales of unique cattle, horses, pigs, sheep, poultry, waterfowl and lots from a bygone era, this year’s Thainstone Rare and Minority Breed event is shaping up to be an ideal day out for all the family. The popular event also features a family element with as well as a wide range of stalls in the Centre’s concourse area with offerings of arts and crafts, gifts and accessories. Anyone wishing to exhibit on the day, should call 01467 623760 or email events@anmgroup.co.uk. For further information, please visit www.anmarts.co.uk or call 01467 623710. Description: Scotland’s 5 star childrens show is coming to Kintore. Join some of our colourful characters in a one hour show of musical mayhem for all the family. The McDougall’s Singalong Show has lively songs, fun actions and bucket loads of audience participation, guaranteed to put a smile on everyones faces. There’s even a special appearance from their pet bunny rabbit Morag! Show running time (includes a short break) 11am – 12:15pm. Tickets £5, both adults and children require a ticket. Children under 1 FOC. Please contact Laura McConnachie on 07780886703 or comment to purchase your tickets. Description: Our STEM club is back with exciting activities as we head into spring! This May join us as we explore the world of science in a fun and inspiring way! Members will get to explore how lasers work, the mystery of the brain, microscopes, and more! At the end of term we’ll have a special family challenge and quiz. The first session of our new term will be held on Sunday 7 May. We will have 6 weekly sessions running each Sunday until 11 June from there on. Places are limited to 15 spaces and are allocated on a first come first served basis. To book now, email STEMclub@ASC.scot or phone 01224 640340. See below for more info on this exciting club! Children aged 7-11 offers a fun and inspiring way to engage with Science, Technology, Engineering and Maths. Each session includes hands-on activities themed around a STEM topic. Sessions are facilitated by Aberdeen Science Centre staff. Academic and industry professionals periodically participate to share their knowledge and passion. Each member is also provided with the official ASC STEM Club T-shirt. Schedule: the first session will be held on Sunday 7 May. There are 6 weekly sessions running each Sunday until 11 June. Support this wonderful charity by joining us for Fairy day. Tickets are currently available from the Visitor Centre here at Belwade Farm. Further methods of purchasing tickets will be available shortly. Under 1 year olds are free but will require a ticket to register attendance. This is a ticketed event only. 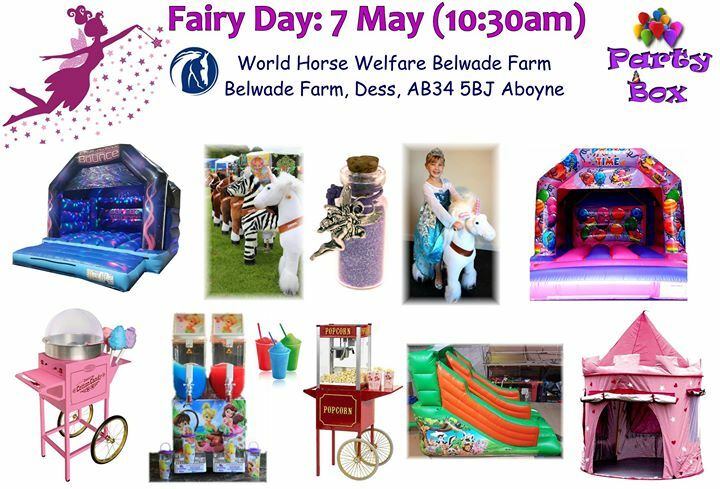 Please note that car parking, Fairy Woodland Trail, Dancing with Tinkerbell, Story Telling, meeting our Belwade residents and unicorn are all included within the ticket price. There will be charges for the other activities. Due to the access routes to the Farm we are restricting movement on the entrance and exit road for this event. We ask that vehicles arrive between 10.30am and 12.30pm, after 12.30pm the driveway will be used for existing vehicles only. These restrictions are in place for the safety of our visitors and other users of the road. Emergency Vehicles have access to the facilities here at all times. Alternatively you can walk from Aboyne to this event. This is a lovely walk and takes you through Bellwood onto Belwade Farm. If you would like further information on how to do this please do contact us. Description: You are all invited to our Ticketed Free Mayday Family Funday. On site we will have RNLI displays from Coastguard Search &amp; Rescue Helicopter, Police dogs, Mountain Rescue and the Gordon Highlander’s Pipe Band. Kid’s races, Treasure Hunt, Colouring competition; RNLI souvenirs. We will also have Farmer Ken on the BBQ serving up his famous Cairnton Aberdeen Angus Steak &; Burgers and much more for all your foody requirements on the day. This is a free event, so just Click-the-link and get your tickets now, (due to limited availability). This May, we’re asking you to help kit out our courageous volunteer lifeboat crew. It could be any day. A birthday, a work day, even Christmas Day. When a mayday call comes in, our volunteer lifeboat crews drop everything to save lives at sea. They depend on their kit to help them save lives – and to bring them home safely. By getting involved in Mayday you can be a lifesaver too. Description: Join us for a gentle stroll along the railway line, meeting at the car park of St Peters Heritage Hall in Peterculter, at 1.15 for a 1.30pm start. The railway line is tarmaced, so is suitable for bumps, buggies and babywearers, and toddlers/older children are more than welcome to toddle along too. There is no coffee shop unfortunately en route, so bring a drink and snack if you wish as there is a small picnic area if the weather is fine!